Napili Shores D227: Cute Napili Studio W/ AC! Just A Short Walk To The Beach! Come Stay at the famous Napili Shores in this spacious remodeled garden view studio! Beautiful Plumeria trees just off of your private lanai line the interior of this very popular vacation property. The studio has a window vented AC unit to keep you cool at night!! This studio comes with a wonderful fully stocked kitchen for cooking dinners to enjoy on the lanai. There is free WiFi, a flat screen TV and a DVD player for your enjoyment! We supply you with beach towels, beach chairs, and a cooler for your days at the bay enjoying ocean activities. For those traveling with a friend, with a child or 2 small children, there is a pull out love seat with a twin bed!! Walk the pristine white sandy beach of Napili Bay to the Coastal trail that passes through Kapalua Bay and North to the Ritz Carlton. The unit is walking distance to Kapalua golf course and the quaint Honolua Store. 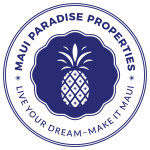 This property is close to Kaanapali, Kapalua, and Honolua bay for some of Maui's best beaches, snorkeling, shopping and restaurants! Have breakfast at the famous Gazebo Restaurant on site that features the best Macadamia Nut Pancakes you've ever tasted. Dine at the Sea House Restaurant at the other end of Napili Bay. They have the best happy hour around and its a great spot for sunset cocktails! Listen to the morning sounds of the fountain in the Koi Pond, and have your coffee on your private lanai. When the Plumeria trees are in bloom they are right off our lanai and wonderful to enjoy. The unit is just a little more than 100 yards to the lower swimming pool and breathtaking views of the ocean. Humpback whales frequent these waters from January through March. Every evening at sunset you can gather at "the wall" next to the Gazebo to view the most beautiful sunsets Maui has to offer.